Made-to-measure is essentially pre-made suit shapes that are altered based on your preferences and measurements. Rather than starting from scratch, you are fitted from a selection of sample garments, we then tailor this for your unique body type and provide you with fabric and detail options. Made-to-Measure tailoring was created over 60 years ago to bridge the gap between ready-to-wear and bespoke. A bespoke suit is measured and made for your specific body type, taking into consideration all the nuances of your body and gait. 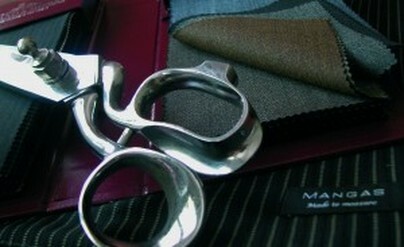 The tailors eye is born out of years of experience and the suit is hand-crafted to you, and only you. It is a completely hand-crafted process from start to finish. 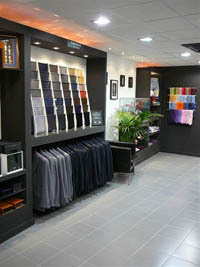 Bespoke - so called because when customers chose their cloth it was said to "be spoken for"